How do you go about unseating the undisputed ruler of the sportscar segment? Apparently, you take things to wholly unnecessary levels and slap a six-figure price tag on the window. At least, that seems to be how Chevy is looking to take down the Ford Mustang – not that it’s actually going to work. What we’re talking about is the 2019 Chevy Corvette ZR1, the latest in a long line of contenders for the Mustang’s championship belt. But while other competitors try to outperform the new Mustang lineup with close-but-no-cigar power ratings and a comparable price tag, Chevy seems to have lost their minds and gone nuclear. To see what we mean, check out this 2019 Ford Mustang versus 2019 Chevrolet Corvette ZR1 head-to-head model comparison. Yes, you read that correctly – and, no, your eyes aren’t deceiving you as you check out our 2019 Mustang lineup versus 2019 Corvette ZR1 lineup comparison table above. Chevrolet really is asking $121,000 for the base 2019 Chevy Corvette ZR1. And, yes, we said base model, meaning they only get more expensive from there. 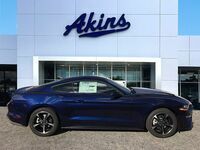 Thanks to that astronomical price tag, you can buy four base 2019 Ford Mustang models and still have money left over to trick each of them out how you see fit. So, what are you getting for all that money? You’re getting a sportscar with an overpowered and gas-guzzling engine. Unless you’re heading out to do some legal drag racing, there is absolutely no reason to need 755 horsepower and 715 pound-feet of torque, especially when you can get fun to drive power ratings of 460 horsepower and 420 pound-feet of torque for a lot less money. 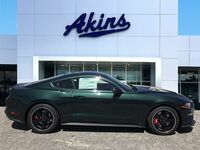 So, unless you have some serious money to burn – money that could probably be better utilized in other ways – head on over to Akins Ford near Atlanta, GA, to test drive a 2019 Ford Mustang today.